For many two-wheeler owners, renewing insurance policy annually is a cumbersome exercise. Are you getting bogged with reminders at your workplace or home? Probably one of the reminders is to renew your insurance policy. For many two-wheeler owners, renewing insurance policy annually is a cumbersome exercise. Nonetheless, good news is that the insurance regulator approved for the introduction of long-term insurance cover for two wheelers, primarily to combat the rising cases of non-compliance; an increasing number of two wheeler drivers operate with expired insurance policies. Here are five reasons you’ll love to go for long-term plans for your two wheelers. You can avoid the hassles that come with renewing of policy on a yearly basis. For many people, it is cumbersome to keep track of annual renewal dates of policies, especially when someone owns more than one policy. This can be avoided by taking a long-term insurance cover. 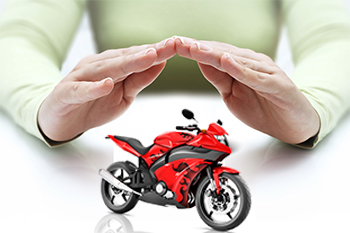 If your policy lapses, some insurers could insist on inspection of the bike to fulfill the company’s policy and determine your vehicle’s condition and then take a decision on renewal. However, if you have a long-term two wheeler policy in place, it will rid you of this inconvenience and costs that ensue from extended tenure of the policy. Each year, the IRDA reviews the general insurance premium rates and publishes new rates applicable to the market. These reviews have often resulted in more hikes rather than cuts. For instance, the past three years have seen successive hikes in premium rates for bikes below 350cc and above 100cc, which figure among the more popular two wheeler engines. With long-term insurance, the premium paid is frozen and not subject to such hikes, cushioning the policy holder during the tenure of the plan. According to authorities, the No Claim Bonus (NCB) structure in case of renewal of a long-term policy is different from NCB structure for one-year policies. The NCB structure for long-term policies is better, giving more benefits to the insured. Today, insurance companies are willing to offer discounts on the own damage part of the policy premium for long-term insurance policies. Though premium rates for general insurance are set by regulators, the corresponding administrative and policy issuance saving experienced by the insurance company is translated to the client in the form of a discount. Clients can request for discounts; the probability of getting a better deal on long-term plans compared to one-year policies is high. Long-term plans could lead to losses stemming from downward premium rate fluctuations. Therefore, you will have to pay a higher premium for a lower IDV. However, the monetary and non-monetary benefits of a long-term plan outweigh these demerits.